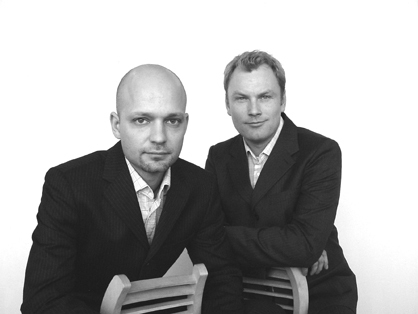 On 24th April Busk + Herzog were awarded the ”Furniture Prize 2008” at the Danish Museum of Art and Design in Copenhagen by a unanimous jury and the most esteemed representatives of the furniture industry in Denmark. ”The Furniture Prize” is the greatest and oldest distinction for designers in the Danish furniture industry and the award of this year's prize to Busk + Herzog is thus a fine appreciation of their outstanding talent, displayed among others at the factory Magnus Olesen A/S in DK-Roslev. And Nils Knudsen, the Managing Director of Magnus Olesen A/S, doesn't hide the fact that during the past five years it's Busk + Herzog, the talented designer duo, who has conveyed new vitality and inspiration to Magnus Olesen, and it's here the two prize winners have developed new very successful design products. Today the products designed by Busk + Herzog makes up more than 40% of the total turnover of Magnus Olesen, and Nils Knudsen expects a continued significat growth in the sale of these products. Not only in Denmark, but also to a great extent on the export markets such as Germany and Japan, which are among the largest export and growth markets of Magnus Olesen. 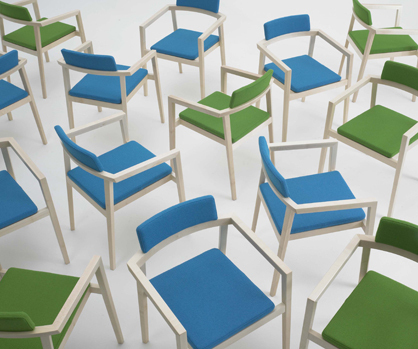 In Japan Magnus Olesen has recently installed a large order consisting of 400 'Pause' chairs and 80 'Pause' tables among others at Hiroshima Keizai University. Last year Magnus Olesen delivered for instance 1.000 ’Session’ chairs to Hotel Opus in Horsens, Denmark and 25 Space Benches to the Players' Lounge in the football club Chelsea FC in the United Kingdom (see the attached photos). In June Magnus Olesen introduces yet another product designed by Busk + Herzog at the 100% Design fair in Holland. 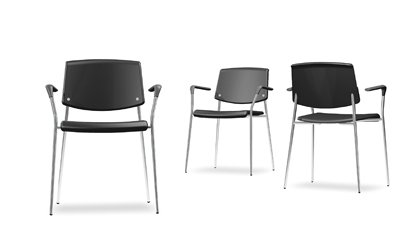 It's a new conference chair: 'City' and already prior to the formal introduction it has attracted much attention. 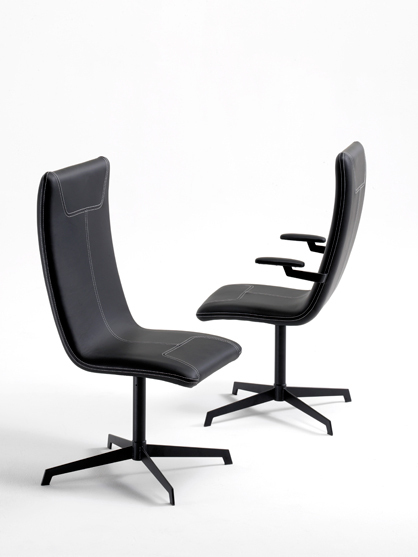 The Furniture Prize was instituted by the Foundation of the Association of Furniture Manufacturers in 1969 ”.... to support and encourage initiative and efforts, made to promote design development, research and technical development for the Danish furniture industry...” as it says in the instrument of foundation. The prize was awarded for the first time in 1970 – and subsequently it has been awarded every year.